Following on from our articles on Implementing risk assessments and Risk assessments for passenger vessel operations, the Club has produced the next article in the series which focuses on risk assessments from mooring and unmooring operations. Inadequate supervision/procedures – These include claims arising from a lack of supervision of the task, inadequate or non-existent procedures or a failure to comply with existing procedures. 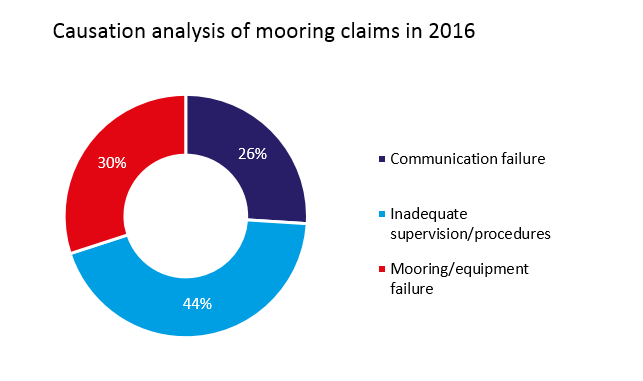 Communication failure – These include claims arising from communication failures between the various teams involved in mooring operations such as, the bridge team, the pilot and the deck mooring teams as well as the tugs/ shore mooring personnel. Mooring/equipment failure – These include claims which involved a failure of mooring equipment, mooring ropes and anchors used for mooring. Due to varied configurations at berthing facilities, mooring patterns may range from being simple and repetitive to complex, innovative and often ‘one-off’ operations. Whilst the simple/repetitive mooring operations may appear less challenging, the risk of complacency, leading to reduced situational awareness among personnel, may be enhanced and thereby increasing the possibility of an incident. 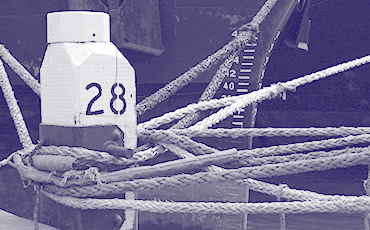 A typical mooring operation may involve a number of external parties such as pilots, tugs, longshoremen and at times mooring boats. The involvement of so many different groups may cause issues with communication especially if language barriers are a factor. Furthermore, weather and tidal conditions may also add to complexity of this operation. As with any shipboard task, a large number of mooring related incidents may be avoided by conducting appropriate risk assessments. In this sample risk assessment, we highlight various potential hazards and offer possible control measures. We would like to emphasise that this is for guidance purposes only and it is imperative that operators conduct their own risk assessments based on their individual operating parameters. In addition to this guidance, we would like to take this opportunity to remind Members of the Club’s bulletin Guidance on snap back zones and poster on Communication management during a pilotage operation. This article was written in conjunction with the Technical and Risk team at CTRL Marine Solutions Ltd. CTRL’s knowledgeable and experienced staff can work with your in house teams to audit and assist with new or existing risk assessments on favourable rates and flexible terms.